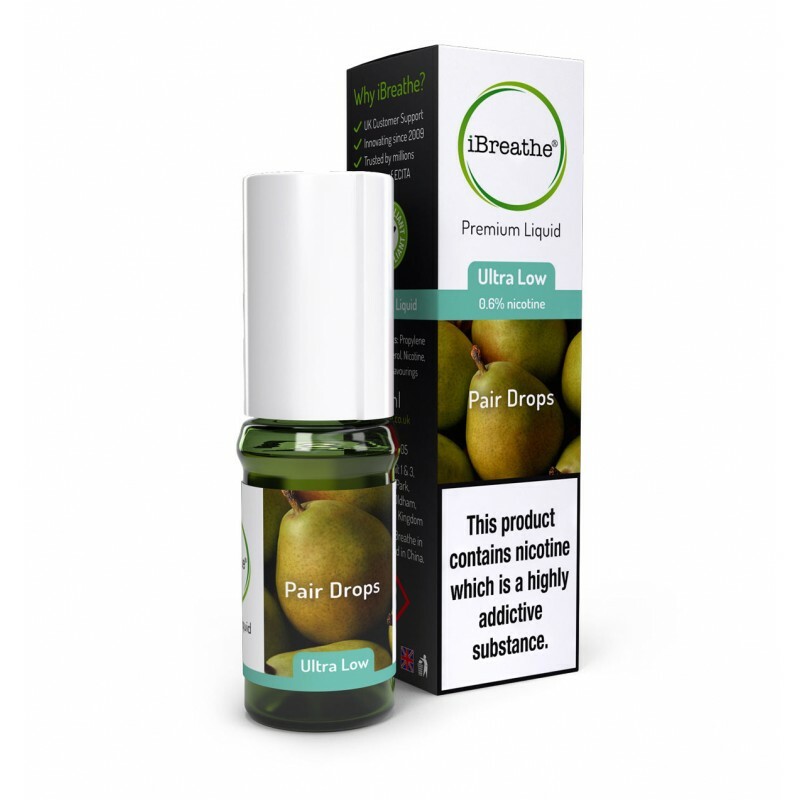 Pear up your e-cigaretes with iBreathe’s Pear Drops, which consists only of a Pair of pears, maximising their peary goodness. There is nothing more refreshing than a sweet pear-on-pear vape. The iBreathe Pair Drops Premium E-Liquid has a bold and sweet pear flavour, which works in various different nicotine levels.